Denmark is a country full of castles with rich royal histories, and you’ll visit three of the best on this day tour of North Zealand. 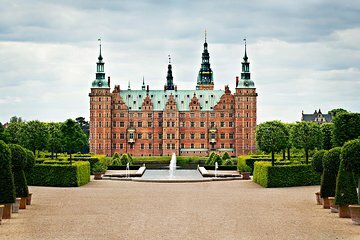 Visit Frederiksborg Castle, Fredensborg Palace, and Kronborg Castle, each with fascinating histories and beautiful interiors and grounds. Kronborg Castle is a particularly special place to visit, as it’s known as Hamlet’s castle, from the Shakespeare play. Travelers interested in history, culture, and architecture will especially enjoy this trip.